ROS.org – Powering the world’s robots « Adafruit Industries – Makers, hackers, artists, designers and engineers! ROS.org | Powering the world’s robots. Five years ago, a robot slowly trundled around a Californian office doing things like opening doors and using electrical sockets. They’re routine activities for people, but this was a Willow Garage PR2 alpha robot. By navigating through eight doors and using nine outlets, it notched an important milestone — using the Robot Operating System (ROS) to accomplish its complex mission. PR2, a bulky, rolling droid with two arms, was relying heavily on ROS to open the doors and plug itself in. 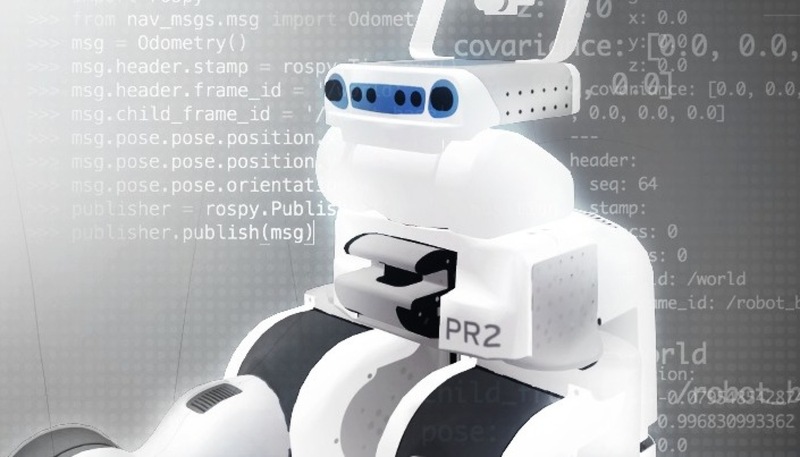 ROS is an open-source operating system that has continued to grow since that day in June 2009 and is now helping robots tackle real-world tasks in unexpected ways. First developed in 2007, ROS is a collection of tools and libraries that serve as a framework for writing robot software. It’s basically a programming platform for robots, just as Android is a platform for smartphone apps. It’s also an approach to artificial intelligence grounded in the premise that the real world is such a complex puzzle for robots to grasp, navigate and act upon that machines must share their knowledge and skills in order to be more useful.